Trying to identify my yacht! Quote Reply Topic: Trying to identify my yacht! Hi, I've just bought an old mahogany yacht for a complete rennovation (and boy does it need it!). The yacht didn't have much information about it/on it, and the only information i've been able to trace is through the sail number at the RYA. The boat was called Phoenix of Poole, and was purchased in Christchurch, UK. The boat was last used on Poole harbour and receipts for fuel found in the cabin show dates around 2003! Through the sail number, i've managed to trace the sails to a craft called 'Circle Game', and through google searches, have found out that this craft caught fire on 30th May 2003 in Poole harbour. After a thorough investigation of the undersides of the decks etc, I believe this could have been the case although someone had already patched her up before me. If anyone can help me identify the boat, there is a picture (before I started rennovation) on my website at www.webstinction.com/yacht.htm I would really like to find out more about the boat, and it's make/history etc. Can anyone help????? 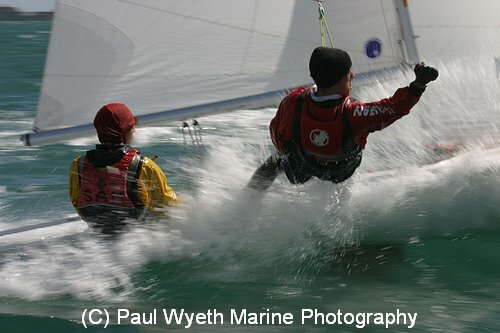 Try uk.rec.sailing: more yottie-types there than here. Looks like a wooden version of a boat called the Trident 24. Triple keel thing which looks very similar. We have a couple at our club. Looks similar to the Trident, but it's only a single swing keel, and the cockpit and cabin layouts are different. The construction is double diagonal mahogany as far as I can tell, so not quite the same, but definitely closer than i've managed to get so far! Yeah, I thnk the Trident has very slightly less coah roof, and a bit more cockpit. It's just a bit more open. Have been surfing the net and it looks like it might be a Buchanan design. Has anyone got any ideas where I might find the HIN plate? It's got a hatch with stove to the port side, pilot bunk returning stbd under cockpit, and two berths each side of the main cabin. Small dorrway through to foreacbin which only measures 4' in length, limited headroom but enough for a sea toilet. The engine is Diesel, and very old, again trying to identify it with the manufacturer. 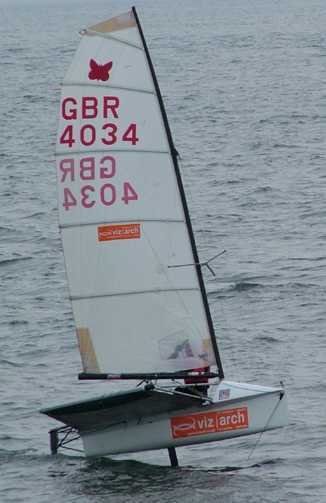 The keel is a swing type, with rope/pulley system from cockpit cleat to raise and lower. Still desperately trying to identify her.